Amelia attended Marian University in Indianapolis to pursue a degree in marketing. 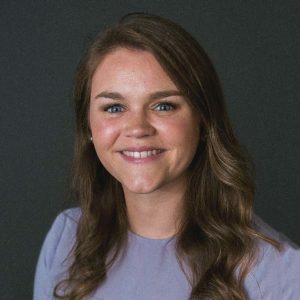 During her time in college, Amelia worked as a Game Operations Intern for the Indiana Pacers where she was responsible for the coordination and execution of promotional events in the community and during games. After she graduated in May of 2017 with her Bachelor’s in marketing and a minor in Spanish, she was hired by Eclipse Marketing and Advertising as an Account Manager. In her role, she was responsible for handling print and digital marketing materials for non-profit clients. She continues to do this work now that Eclipse has merged with Sextons Creek Productions. Amelia enjoys traveling, going to concerts, camping, movies and is a big fan of the Chicago Cubs. It's a new world. We can help.